30 km east of Mikkeli, L.Saimaa 350 m, shallow, hard sand, shore shared with owner (seldom uses shore). There is a own beach 700 m by car and 500 m by walking path, there is a jetty and own boat. 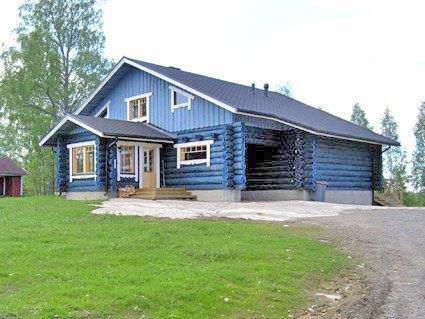 Log cottage 2005, kitchen, living room, bedroom double bed and 1 bed, upstairs bedroom 1 bed, bedroom double bed + 1 bed, bedroom double bed, bedroom double bed and 1 bed, upstairs lobby 2 extra beds, washing room, dressing room, sauna (elec. stove), two open porch and two glazed porch. Cottage has two showers and two toilets. 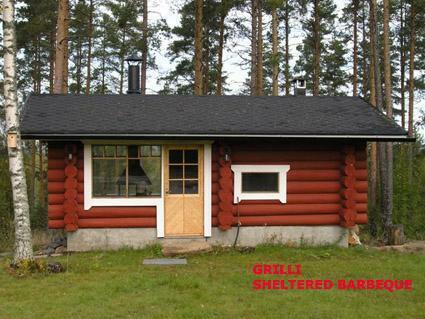 Separate sauna building (10 m²), sauna has elec. light and cold water pipe. Car port. 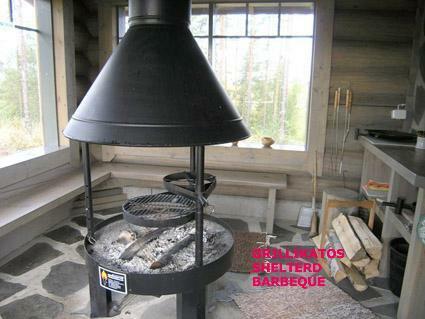 On the shore which is in shared use (distance 350 m) there is a lakeside sauna. During 1.5 - 30.9 possibility to rent it by separate payment. Sauna cannot be used during winter time (1.10 - 30.4). Separate outbuilding (32 m²) by arrangement (225 euro/week extra), bedroom 3 beds, bedroom 5 beds, WC, outbuilding has elec. light and elec.heating. 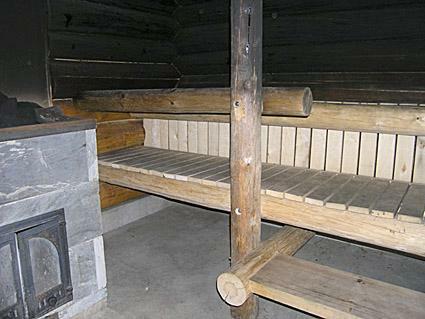 Smokesauna by arrangement, 80 euro/heating. 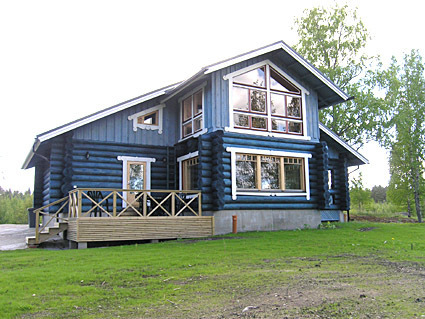 High standard, elegant and spacious chalet on two floors, suitable for several families. Lower floor suitable for wheelchairs, has wide doors without sills. Swimming beach accessed by forest path or road. 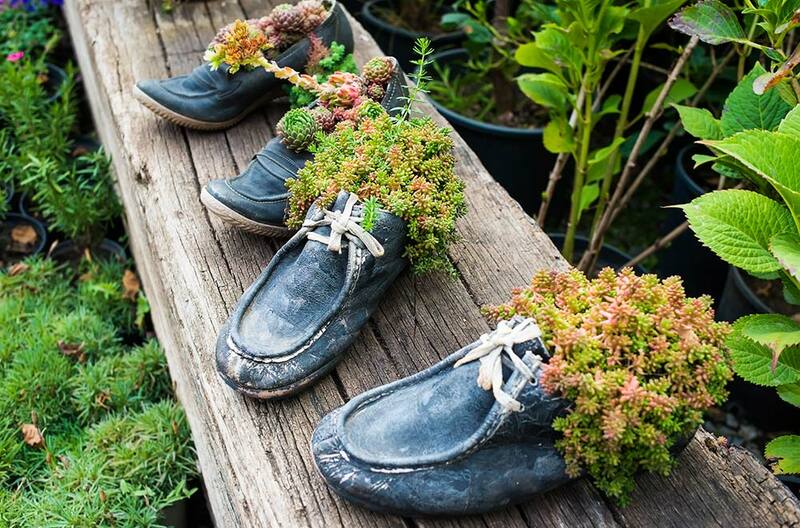 Owner rents out boats. Tornimäki downhill ski centre, distance 25 km. 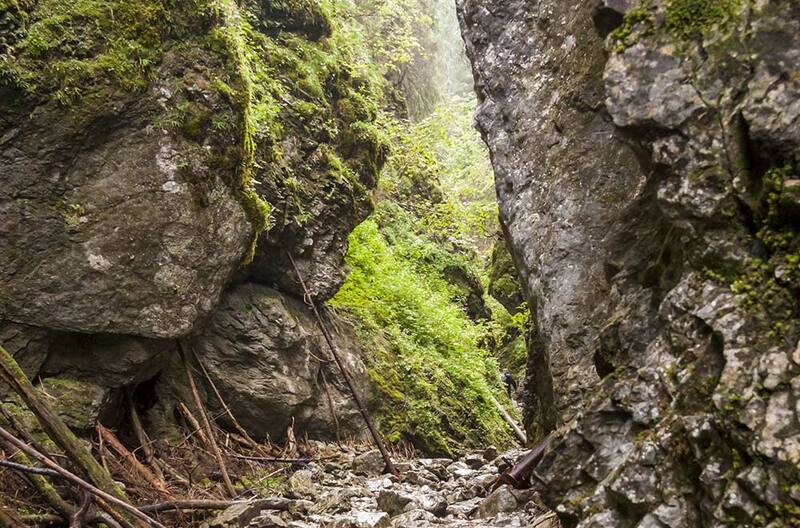 Horse riding opportunities 3 km, Anttola 8 km, Ollinmäki Finnish vineyard 10 km. Key deposit on site 100 euros. Additional fee for dogs 50 euros/week, 20 euros/weekend.